Is BYOD Really a Good Idea? BYOD is the trend…Is It Good? Can Companies Keep Their Data Safe? The fact is, people are going to bring their own devices to work…even if you lock your systems down, some (and it might just be the IT people) will still find a way. No one wants to carry two phone, two laptops, two whatever….and most companies are not going to issue their employees smartphones…. What’s The Point of Your Security Assessment? Are Your Clients Actually Taking Any Relevant Action? This week on a coaching call with one of our Mastery Security Training Attendees we were discussing the role of the consultant in the security assessment process. In this case the Assessment Sales were NOT closing. In other cases we discussed conversions from Assessment to Remediation or Managed Service were weak. The complaint: Can I rely on our security consultants to deliver, or should I sell something else? First, sales people should never turn the SELLING over to a consultant or engineer unless that technology expert has a track record of closing. Knowing a lot about security does NOT lead to selling assessments. Selling and marketing are not driven by sound bites, technical know-how, or certifications. In the Security Sales Mastery Program we teach sales people to speak about security at the business level. Executive Management is where the assessment should be sold. Assessments are about risk. They measure Impact vs. Likelihood. At least they should. In a sense Assessments are a marketing effort. The Sales person sells the deal to measure risk. The consultant measures risk. But then something salesy has to happen. Like the Cardio Doctor, if your patients are about to die but don’t take on the treatment plan, the doctor is failing. It’s the doc’s job to sell his patient on doing something. Yes, ultimately the patient is responsible for their health, but if the diagnosis is poorly communicated or risk poorly described, the doc is doing something wrong. In many cases it will be a 50 page paper (enterprise size deal) or something much shorter in the SMB. But is it written to the person who cares about risk? In most cases the answer is NO. This is a sales problem. If you, the sales person, sold the assessment, hopefully you sold it to to someone at the business level to help them measure something specific – risk. It might be compliance like HIPAA or it might be to identify the likelihood of data theft, system disruption, or data misuse. Theft, misuse, and disruption can all be in the same report, however your findings must be written to the asset owner. The person with liability. Don’t let the consultant take this to the client before reading and understanding what it says. Was the paper written using an old assessment from another deal? If so, are there facts left over such as a “company name” that just don’t belong in this paper? Believe it or not these are common problems. But it’s the sales person’s job to read it and scrutinize the value of the report. Sure, the technical team shouldn’t be making mistakes like labeling a diagram with Cisco routers when the client uses Juniper (Yes, I’ve seen this happen!). But technical people are rarely writers. They won’t write at the executive level, they’ll miss edits that are obvious to the sales person, and they’ll often use an older document rather than starting from scratch. It happens even with the best teams. Should You Keep Selling Assessments? Yes, your clients need them. And they’re one of the best avenues to big business. But sell them at the business level. Don’t succumb to IT people wanting assessment quotes. Unless they’re high dollar projects, they’re not worth doing. Make your way upstairs and find out what’s really needed. When it’s time to assess, make sure your technical team knows exactly what you sold. It should be a measure of risk as described in The House & the Cloud. And when it’s time to deliver. Read it. It’s your deal. It’s Your client. It’s your responsibility. And it’s your biggest up-sell opportunity. Continuing from yesterday’s topic on, Things Sales People Do That CIOs Hate, last week’s keynote also covered three things CIOs really need…and can’t easily get internally. Security Intelligence. Intelligence is the new security buzzword. Not that it’s new. But for years people have talked about “Defense in Depth”, “Zero Day Response”, “Layered Security,” etc. Recent WSJ reports are telling us that just about every board meeting agenda allots about 30 minutes to security. What do the leaders of that meeting want to know? They want a measure of risk – “What are the odds our company will get hit this year?” Who, besides you can give them that information? Advice on leveraging new technologies. In the interview I referenced yesterday, the CISO I was meeting with talked about his need for advisors. He can’t know everything, and his team is heads down on support issues, project implementations, and daily operations. They don’t have time to keep up with technology the way you do. So rather than showing up with your corporate presentation, show up with research and examples. Knowing what other “like” companies are doing to compete will go a long way. In the Interview he mentioned compliance as an area they constantly need more advice on…can you advise your clients on HIPAA, GLBA, PCI, etc. Trust. Most of the sales people out there are just trying to sell. Is that you? 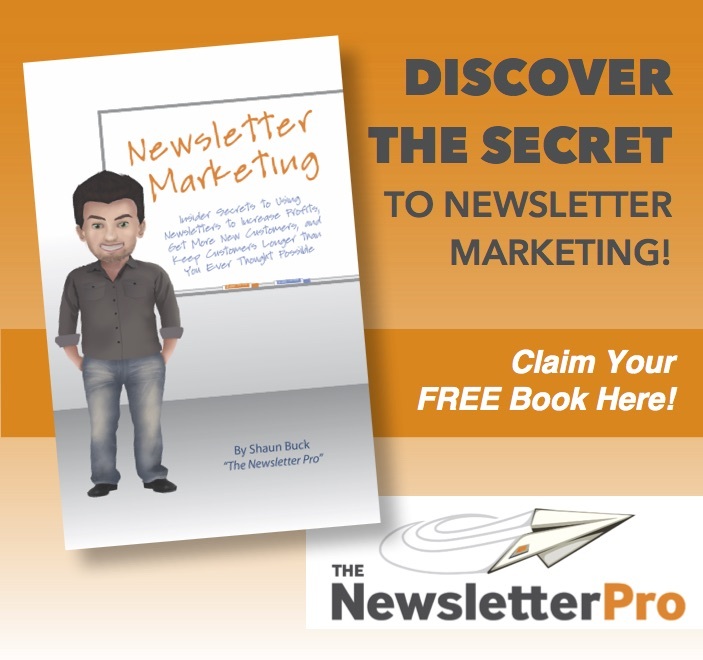 Do you care whether your product actually works, or delivers a benefit this client needs? If you do, and I hope you really do, you’re a minority. The great thing about security is, just about everyone needs new security. As threats evolve, and IT moves toward new disruptive technologies, the security strategy is constantly evolving. It’s safe to say that, regardless of who they end up buying from, they do need security. Make sure you are doing the things that earn that trusted advisor status. Security is a great place to start. PS. 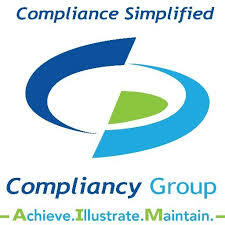 Check out what Compliancy Group has to offer resellers…compliance offerings without going back to school for four years. HIPAA Isn’t Helping! In Fact It May Be Hurting! As I mentioned in yesterday’s post, I’ll be interviewing Marc Haskelson later today, Founder and President of The Comliancy Group. He didn’t write the HIPAA requirements, but he understands them, and knows which of your clients need HIPAA. He also knows where it falls short. Do you know what HIPAA stands for? Google it and you’ll come up with more than one answer…if you’re going bring it up in a meeting, make sure you know. Here it is: Health Insurance Portability and Accountability Act. (Note, it’s not the information portability act, and it’s not HIPPA). It would have been great if the authors of HIPAA understood technology and security. The fact is, many of your clients either require HIPAA compliance, or will in the near future. The problem is, “HIPAA isn’t helping” healthcare security according to Gary McGraw, CTO of Cigital (a leading software development firm headquartered in Dulles, VA.) If you’ve read my book, The House & The Cloud, 2nd Edition, you know I agree. There’s a large chasm between compliance and security, but regardless, HIPAA is required. In a recent study, “Healthcare overwhelmingly scored lower than financial services firms, ISVs, and consumer electronics firms, which include some Internet of Things providers.” according to Kelly Jackson Higgins, in an article posted on DARKReading. The real problem with HIPAA is it has given doctors a false sense of security. In a recent healthcare conference I spoke at, every session that had something to do with security was all about HIPAA. When I gave my presentation, I started by asking the audience to forget about HIPAA for just one hour, and listen to what it means to be secure. The response was one of surprise. No one had ever told these people that data, governed by HIPAA, was still at risk. Over the past year we’ve seen numerous companies attacked, regardless of their HIPAA compliance efforts. To name just a couple; Anthem and UCLA Health come to mind. I have a colleague who recently took a job with Websense. This year they publised a study showing healthcare organizations are being hit 3 or 4 times as often as other firms by cyber attacks. Forbes noted in a recent article that healthcare data is worth 10 times that of credit card data on the black market. A Trend Micro study shows that “nearly 27% of data breaches reported over the past decade occurred in the healthcare sector, and healthcare was the hardest hit by identity theft in the past 10 years, with 44.2% of those cases caused by insider leaks,” (Cited by the DARKReading article above). People think they are secure when they are compliant. HIPAA requires so much paperwork that the security issues get lost in the process. The financial companies know they’re a target, while a recent survey published by Trustwave reports that healthcare IT professionals don’t. How can you get involved? First, where there’s a problem, there’s an opportunity. I’m interviewing Marc today to get a better sense of what HIPAA really requires, and to show technology resellers how to get involved. Healthcare companies and their third-party providers both need help as well as education on HIPAA. The House & The Cloud Message was extremely effective in the healthcare conference I spoke at. For the first time their eyes were opened, and they saw the need. This kind of education opens doors of opportunity that are both helpful to your clients and profitable to your business. First, visit the Compliancy Group Site to get more information on how to become a HIPAA Security Provider. Marc will do everything he can to help you get up and running with minimal time and investment. Second, enroll in the Security Sales Mastery Program – If you qualify with one of the many sponsors supporting this program, I can get you a free seat (Normally $450). Contact me and we’ll find a way to get you into the program.